Travel & English - Martin's Garage n.a. I considered about conversation. The one of the biggest reasons that I started to learn English in college is to learn a lot of opinions through different languages. After some experience, to go abroad, to talk with many people, and others, I have thought the most important thing is love. 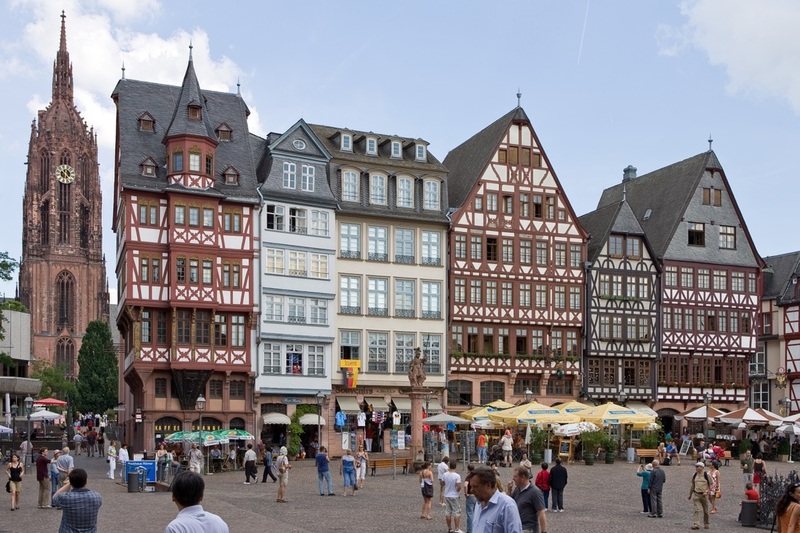 The first time I went to Europe, I flew into Frankfurt airport, for I had been learning German language and culture at university, so I was interested to visit there. I could not speak German well, but somehow I could get from there to my hotel. After I had a rest, I started to feel uneasiness in the room, “Am I able to travel in Europe with no fluent German and no confidence in my English?” However these thoughts didn’t stay long, for I considered such thoughts are not good because I could come to a very wonderful place like this. “Let’s enjoy!” I decided. Since then, the world has changed very much for me. Gentle people that gave me a lot of help and I saw very beautiful scenes. I made sure that they, in a lot of encounters people and wonderful landscapes, made me realize that it’s love that makes people and life so wonderful. Each time I had been spending there made me see a lot of good things. After I left Germany, I went to London by train via Brussels. London was the one of the places I really wanted to see in my first solo travel abroad. There were many scenes there which I had seen on TV or learned from books. Each scene made me feel some charm. And I found a mysterious thing happened! After few days, I started to feel or listen as though English is Japanese, as though the language I had been speaking was surely English: in other words, my confidence was growing! Certainly, there were still words I couldn’t understand, but special things like the atmosphere or feeling, and interaction with people, all seemed to help me to understand and enjoy this experience, and to feel comfortable in this language which was not Japanese. Those things make me feel often that to need to improve my understanding of English skill, but I think there maybe something more than just language skills there, and that is a mysterious thing to be able to see more by learning language, by enjoying the experience of using English in an English-speaking country. After this time, I went to the U.K. again. Each trip brought me a lot of wonderful things. At Liverpool city, there was big mechanical spider on a big building in front of Liverpool Lime street station, and a lot of people were watching up at that thing. I asked to the police man being nearby there “What’s happened?” He answered that big spider would move and walk away! Next day at the morning, the spider was gone after that spider had started walking down to street from that building. That was an unbelievable thing! But the unbelievable thing happened at Yokohama again! I could see that spider again! As you might know, do you remember that a spider had moved around in Yokohama for opening the country 150 year’s events? That was that, the very same one!